The season is about to end up here 65N for about six months. 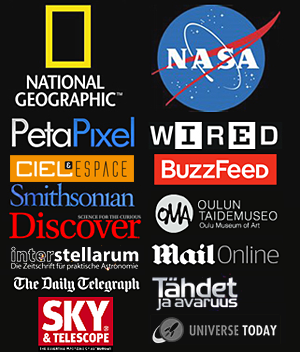 We have had clear skies for a couple of weeks now and I have lots of new material to publish in near future. 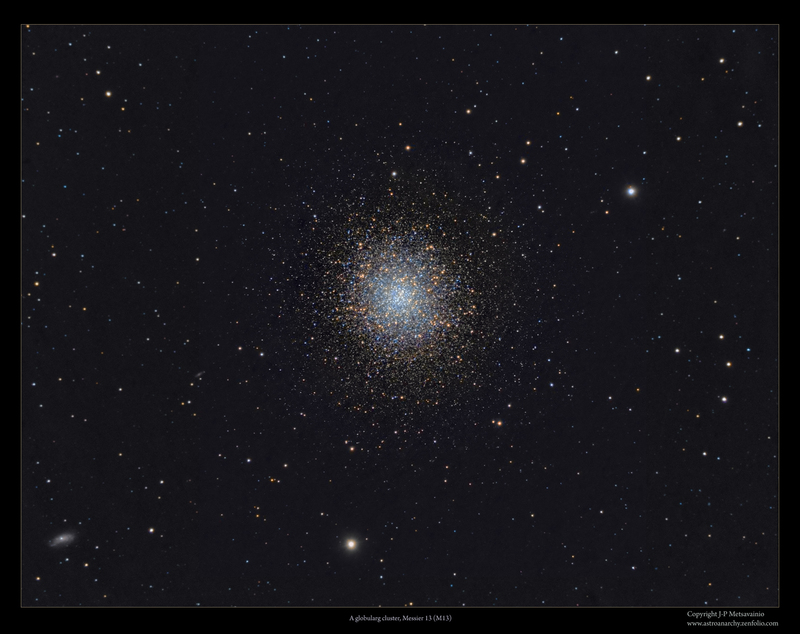 Messier 13 is a kind of fast project shot between dimmer targets. My location is not ideal for a broadband targets, like galaxies and clusters, due to massive light pollution. How ever, this is my try with a M13. LRGB photo of the Great Globular Cluster in Hercules. Note. galaxy NGC 6207 at a lower left corner. M13 locates in constellation Hercules at a distance of 25000 light years. The Great Globular Cluster in Hercules is one of the most brightest globular star clusters in northern sky. Stars are backed to a spherical formation with a diameter of about 150 light years. Red, 6 x 200s binned 2x2 = 20 min. Green, 6 x 200s binned 2x2= 20 min.